Niantic released some new figures for Pokemon GO, it’s breakout mobile release that’s still ticking thanks to new Pokemon and a recent Holiday event. While Pokemon Go isn’t quite as popular as it was at launch, it’s still a game that millions of people play daily. As 2016 comes to an end developer Niantic is now sharing some stats that players have contributed to since the game’s launch, and the numbers are very impressive. 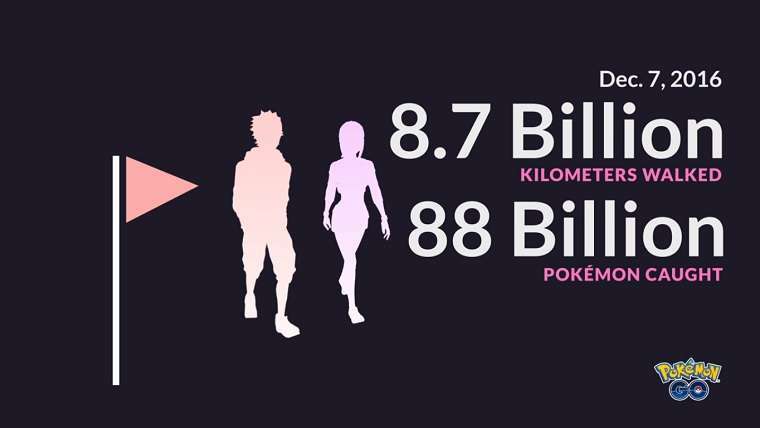 The developer revealed that players have collectively captured 88 billion Pokemon since the game launched, while also walking 8.7 billion kilometers in the process. Niantic notes that 8.7 billion kilometers is equal to more than 200,000 trips around the Earth, adding that it would take a commercial jetliner over 1,000 years to travel that distance. They also noted that the 88 billion Pokemon captured comes out to 533 million captured each day. The developer ends by saying “Get out and go this holiday season, and let’s add some more kilometers to that total! Thank you for your continued support!” These numbers were recorded on December 7th, so there’s still plenty of time to make a dent before the year is over. 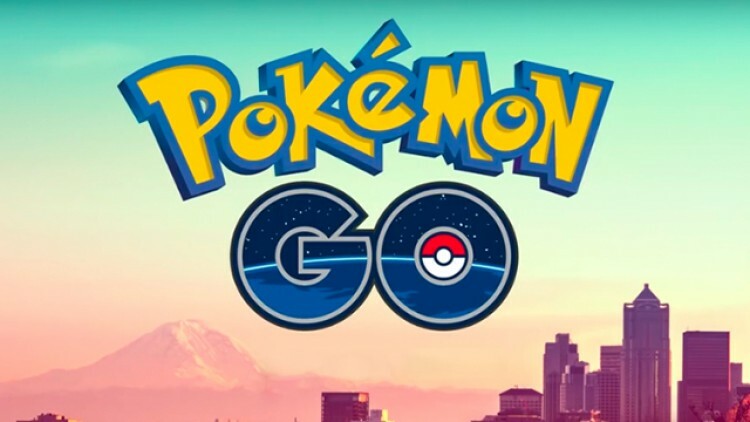 It was recently confirmed by Niantic that the Apple Watch version of the game has not been canceled, despite the game falling off the radar and the previous promise of the game launching this year. The developer did not reveal when the game would launch, though a spokesperson added that more information will be coming soon. Pokemon Go recently got the 1.21.0 and 0.51.0 updates on iPhone and Android, which fixed a variety of smaller bugs within the game. These include fixes for incorrect vibration notifications, day and night modes more accurately reflecting the player’s current time of day, and minor text file fixes and few lines of code is found in the game about Apple Watch support. While the game was originally a mess when it launched this Summer, as the months have gone on it is now a much more pleasant experience to log into the game. Things have definitely slowed down for it, but it will be interesting to see what the developer has in store to keep players engaged in 2017.